AAPL Elliott Wave View: Ready For Wave 5 Higher? APPLE ticker symbol: AAPL short-term Elliott wave view suggests that the rally to $229.67 high ended intermediate wave 3 higher. The internals of that rally higher unfolded as impulse structure with the sub-division of 5 waves structure in it’s each leg higher. Down from $229.67 high, the instrument did a 7 swing pullback & completed the intermediate wave (4) pullback at $216.48 low. The internals of that pullback unfolded as double three structure with the sub-division of 3 wave corrective sequence in lesser degree cycles. The initial decline to $$221.30 low ended Minor wave W as a Zigzag structure. Where Minute wave ((a)) ended at $225.10. Minute wave ((b)) ended at $227.70 high. Minute wave ((c)) of W ended at $221.30 low. Up from there, the bounce to $225.37 high ended Minor wave X recovery in 3 swings. Then a move lower towards$219.52 low ended Minute wave ((a)) of Y. Minute wave ((b)) of Y ended at $222.49. Minute wave ((y)) of Y ended at $216.48 low. Also completed the Minor wave Y of (4) pullback, after reaching the 100%-123.6% Fibonacci extension area of Minor wave W-X at $217.03-$215.06 area. Near-term, while dips remain above $216.48 low AAPL is expected to resume the upside. However a break above $229.67 high remains to be seen for final confirmation & to avoid double correction lower in intermediate wave (4) pullback. We don’t like selling it. Become a Successful Trader and Master Elliott Wave like a Pro. 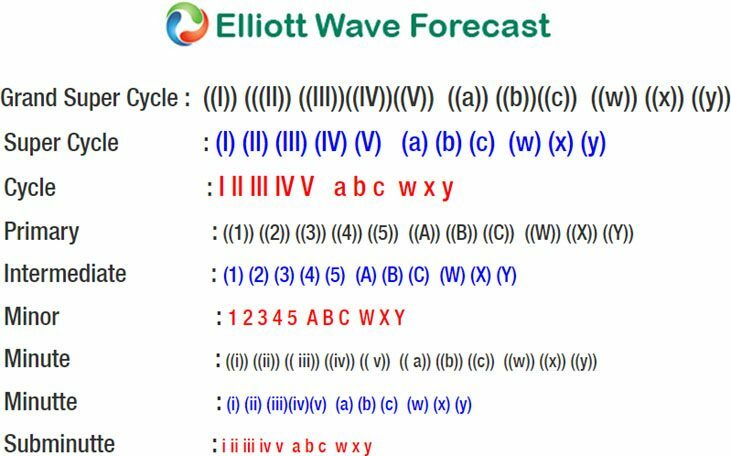 Start your Free 14 Day Trial at - Elliott Wave Forecast. FURTHER DISCLOSURES AND DISCLAIMER CONCERNING RISK, RESPONSIBILITY AND LIABILITY Trading in the Foreign Exchange market is a challenging opportunity where above average returns are available for educated and experienced investors who are willing to take above average risk. However, before deciding to participate in Foreign Exchange (FX) trading, you should carefully consider your investment objectives, level of xperience and risk appetite. Do not invest or trade capital you cannot afford to lose. EME PROCESSING AND CONSULTING, LLC, THEIR REPRESENTATIVES, AND ANYONE WORKING FOR OR WITHIN WWW.ELLIOTTWAVE- FORECAST.COM is not responsible for any loss from any form of distributed advice, signal, analysis, or content. Again, we fully DISCLOSE to the Subscriber base that the Service as a whole, the individual Parties, Representatives, or owners shall not be liable to any and all Subscribers for any losses or damages as a result of any action taken by the Subscriber from any trade idea or signal posted on the website(s) distributed through any form of social-media, email, the website, and/or any other electronic, written, verbal, or future form of communication . All analysis, trading signals, trading recommendations, all charts, communicated interpretations of the wave counts, and all content from any media form produced by www.Elliottwave-forecast.com and/or the Representatives are solely the opinions and best efforts of the respective author(s). In general Forex instruments are highly leveraged, and traders can lose some or all of their initial margin funds. 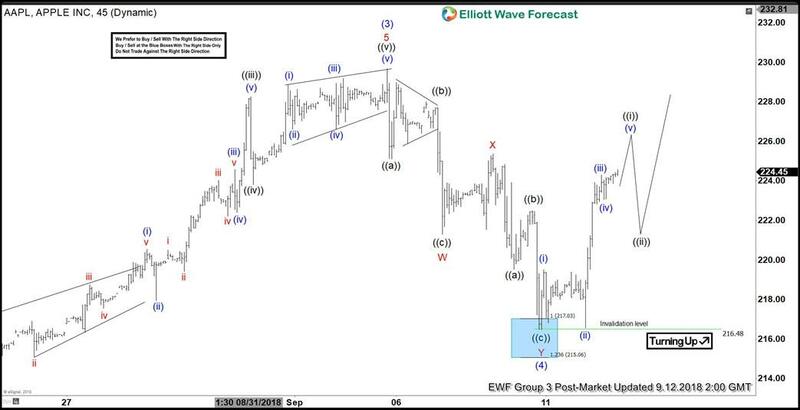 All content provided by www.Elliottwave-forecast.com is expressed in good faith and is intended to help Subscribers succeed in the marketplace, but it is never guaranteed. There is no “holy grail” to trading or forecasting the market and we are wrong sometimes like everyone else. Please understand and accept the risk involved when making any trading and/or investment decision. UNDERSTAND that all the content we provide is protected through copyright of EME PROCESSING AND CONSULTING, LLC. It is illegal to disseminate in any form of communication any part or all of our proprietary information without specific authorization. UNDERSTAND that you also agree to not allow persons that are not PAID SUBSCRIBERS to view any of the content not released publicly. IF YOU ARE FOUND TO BE IN VIOLATION OF THESE RESTRICTIONS you or your firm (as the Subscriber) will be charged fully with no discount for one year subscription to our Premium Plus Plan at $1,799.88 for EACH person or firm who received any of our content illegally through the respected intermediary’s (Subscriber in violation of terms) channel(s) of communication.